Are you looking for San Diego movers that know the area AND have decades of experience and expertise? You’ve found the right company. Allstate Moving Systems is your choice for both local San Diego moves as well as long-distance moves into or out of the San Diego area. San Diego is a beautiful city on the Pacific Ocean in Southern California. With an estimated population of just under 1.4 million, San Diego is the eighth largest city in the United States. The city is well known for its pristine beaches and mild year-round climate. The city is a major port for the US Navy, is home to the University of California, San Diego, and other top employers include Sharp HealthCare, Qualcomm, Dexcom, and Kaiser Permanente. Many people find that employment opportunities bring them to San Diego, but the fantastic weather and warm, welcoming atmosphere are reason enough to consider the destination too. Conveniently located in San Diego County at 12356 McIvers Ct., Poway, CA 92064, we know the San Diego area inside and out. We have served the San Diego community and surrounding areas for over 50 years. Additionally, our experts are comfortable with both local moves and long-distance moves—even international moves are not a problem. Finally, Allstate Moving Systems is an agent for United Van Lines, allowing you access to even more services in San Diego and around the world. While our residential and commercial moving expertise in San Diego are known throughout the state, there are many other services we offer too. If you are looking for palletized storage or a warehouse in San Diego, we can help. 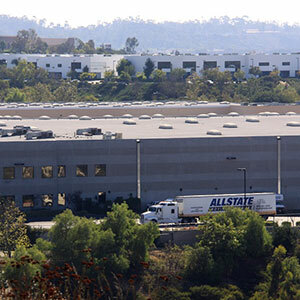 No matter what your San Diego moving or storage needs may be, Allstate Moving Services can help. Call today for more information at (858)746-1000 or request a quote to get started today. We look forward to working with you. 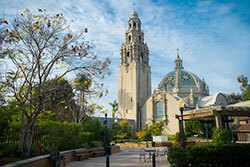 Those who visit and especially those who call San Diego home know about one fabulous destination—Balboa Park. The park is more than “just a park;” it is the home of numerous museums, gardens, an aquarium, and even the San Diego Zoo. Whether you are looking for a place to spend a few hours or you want to figure out your favorite destination to go back to again and again, make sure you check out the Balboa Park website for more information.